Rihanna and Chris Brown are believed to have gone their separate ways, but he still has an emotional connection to the singer and her family. Chris Brown, 23, tweeted a heartfelt message early Sunday morning after his ex girlfriend’s grandmother passed away. Chris Brown and Rihanna split in 2009 after he physically assaulted her just before the Grammy Awards. The pair have reportedly gotten back together and split up several times since then. But one thing is clear, Chris Brown still has an emotional connection to Rihanna, 24. 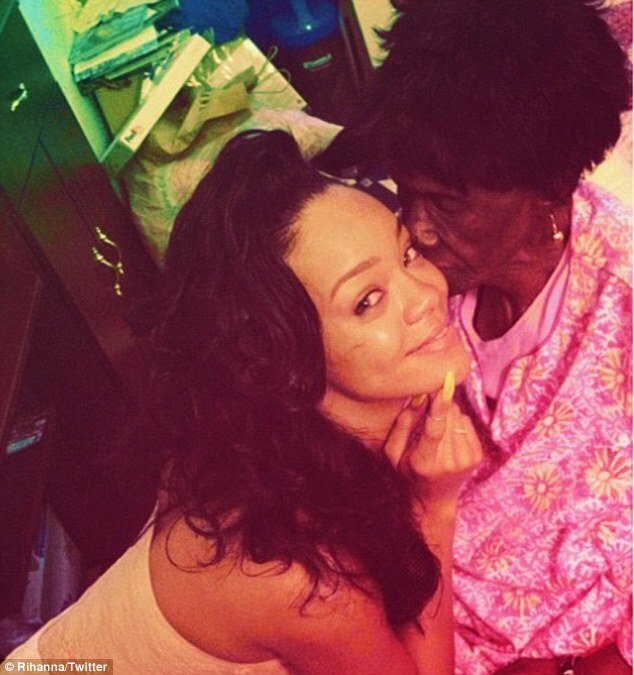 Rihanna’s grandmother Clara “Dolly” Brathwaite died on Saturday. It was only two weeks ago that she posted intimate photos of her spending time with her sick grandmother on Twitter. She then proceeded to post a number of sweet and personal photos of herself with her gran over the years. Her relative, who her family affectionately called Gran Gran Dolly, died on Saturday following a battle with cancer. She was hospitalized at the Memorial Sloan-Kettering Hospital in New York. In another snap Rihanna is seen placing her trucker cap on Dolly’s head. Now Rihanna has released even more family photos of her, including some pictures of her smiling while standing next to Dolly’s hospital bed. She also posted up images of her smile and some of when Rihanna was a child next to her beloved family member.